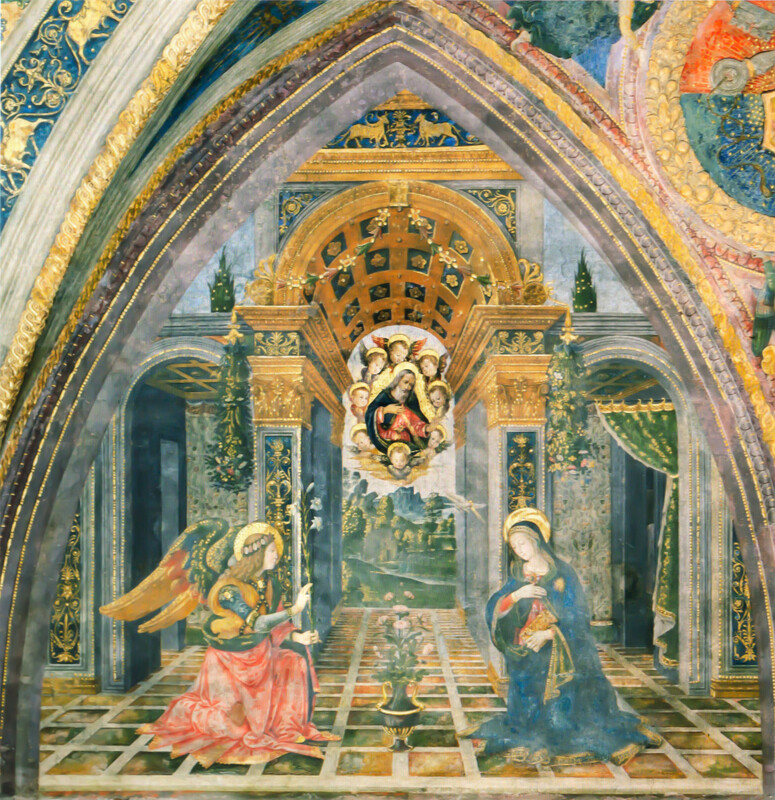 Pinturicchio: Borgia Apartments, Annunciation. Image from The Vatican archive via Huffpost. The image depicts Mary, wearing a blue mantle, kneels on the right and offers a humble gesture of greeting to the angel, who approaches her from the left holding a lily. “I am the Lord’s servant,” Mary answered. “May your word to me be fulfilled.” Then the angel left her (Luke 1:26-38). Oh, the mystery! The wonder! How on Earth could this possibly be? of God Most High. Thus, did John pave the way. Hello Uncle Tree! Season’s greetings. Thanks so much for your kind sentiments. I take great in returning the favor. I hope the guy from the North Pole made it down your chimney. As you know, mystery and wonder are part of what God is about. Of course, John paved the way. Thanks so much Elizabeth. I truly appreciate the kind sentiment. I take great pleasure in returning the favor. God blesses.